Possibly the most critical element to success within school is the nurturing relationship developed between a student and a caring adult. Great teachers and educators can change students’ lives in many ways. As a teacher, your dual role as expert and caring adult gives you a unique connection to our community’s youth that can shape their future. We know that you need support to provide that connection. Take advantages of Raising Healthy Children (RHC): paid professional development offered throughout the year. RHC provides teachers with the knowledge, skills and support they need to create a classroom environment that promotes the development of social and emotional skills that have a lasting impact on a child’s ability to succeed. We’ve got you covered! Look to your pacer guide to make sure you work with your community partner to schedule Be Proud! Be Responsible! curriculum. Look to your pacer guide to ensure you integrate Reducing the Risk curriculum for all 9th graders.  Remember, HOPE Buffalo can support you in your activities to implement Sessions 7 and 8, and to take your class on the visit to a local healthcare provider or make sure the HOPE Buffalo supported Mobile Health van is at your school for Session 9. You can also refer to Be Proud! Be Responsible! Be Protective! which emphasizes the role of maternal protectiveness in motivating adolescents to make healthy sexual decisions and decrease risky sexual behavior. Contact Project Deputy Director Maisha Drayton to learn more about how you can participate. We are here for you, too. Your leadership in establishing expectations for participating in teacher professional development, linking with community-based organizations to deliver Be Proud! Be Responsible! and ensuring every high school student gets an opportunity to participate in Reducing the Risk, is vital. Look out for HOPE Buffalo agenda items on future principal meeting agendas. You can also refer to Be Proud! Be Responsible! Be Protective! which emphasizes the role of maternal protectiveness in motivating adolescents to make healthy sexual decisions and decrease risky sexual behavior. Parents are engaged as well! There is clear evidence that the child-rearing practices, attitudes, values and parent behavior influence a child. Parents of children in grades K–8 will have an opportunity to attend a series of parenting workshops that will complement the classroom evidence-based intervention.